Looking for a luxury Bio Bidet to transform your bathroom? The high-tech most advanced Bio Bidet Bliss BB2000 is a good investment for you. It uses a stream of water to wash you which is cleaner, hygienic and more comfortable. So why use a toilet paper to clean most sensitive parts of your body when you can attach a bidet to your own bathroom very easily and take full advantage of it. Bio Bidet 2000 is a perfect choice for you. 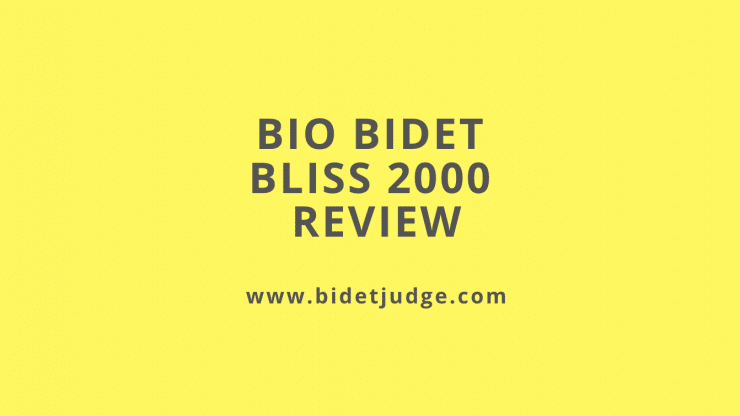 This article will review all the details about the Bio Bidet Bliss BB 2000 including all the pros and cons so you get to be familiar with all the features before buying it. How to install bio bidet 2000? This is a fusion model so it’s all your choice to use the premium functions of the bidet or the regular toilet functions. The product dimensions are 21 x 15.6 x 9 inches and weigh 16.4 pounds. The lid’s corners are slightly beveled, providing smooth looking edges as you look around the lid’s contour. What’s unique about this luxury bidet? Almost all bidet seats come with dual nozzles but BB2000 has a new advanced 3 in 1 nozzle made of stainless steel. This 3 in 1 nozzle system is used for signature vortex water stream, brilliant posterior for males and gentle soft feminine wash using the bubble infusion aerated technology. The vortex water steam uses the maximum volume of water for maximum cleaning experience. The 3 in 1 system is more reliable and effective than 2 in 1 or 1 nozzle wash options. Witness the latest level of extraordinary cleanliness using the exclusive cleaning technology inside the nozzle. It also offers a slow closing lid and seat. It also comes with a U-Pick wireless remote control in black and white color for your convenience. It has a powerful heating seat with adjustable temperature equipped with intelligent body sensors. Indicator icons specify which bidet functions are used on the LCD. You will also find a touch-screen mini control panel on one side of the seat that can be used without wireless remote control for bidet operation. Another feature of the Bio Bidet BB-2000 is an adjustable heated seat with 4 different temperature settings, allowing you to be at ease despite the time of year. The bliss BB2000 also has an adjustable built-in warm air dry with multiple heat settings to make you completely dry after washing and eliminates the toilet paper usage. Another convenient feature of the Bio Bidet BB2000 is that you can program the remote to oscillate or pulsate the water stream automatically when you start your washing. It is very helpful because most users use the oscillating function when washing. The user enjoys the full oscillating wide clean and pulsating message cleaning. It is very eco-friendly having an energy saving mode which conserves energy. The lessen power consumption will reduce your bills. Another breakthrough of this bliss BB200O0 is its new hybrid technology used for heating water. This innovation is very effective, useful and trustworthy instant methods to heat water which combine the temperature resistance and flow of water resistance with unlimited duration to create a constant hot water flow. This Hybrid technology has proved to be one of the most efficient and reliable instant methods to heat water. This technology also has a cosmetic advantage as it makes BB2000 25% slimmer in height than the previous generation models, making it look more elegant and modern. To make sure that nozzles stay ultra clean, they are made of stainless steel, motor-driven and the latest technology of Hydro-Flush cleans the nozzle to provide you utmost hygiene. The ‘CleanSurge’ quick self-cleaning technique is another advanced feature of this bidet which cleans the nozzle with just one touch. 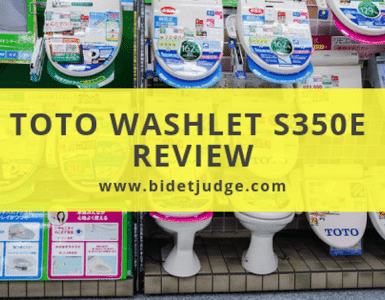 It uses a motorized nozzle cleaning system, which helps Bio Bidet BB2000 to offer effective cleaning system than any many other luxury bidet seats in the market. The CleanSurge quickly retracts and extends the nozzle from its housing while running water on nozzle by pressing just a button and cleaning the full nozzle system thoroughly. It has a nightlight LED mode for trouble-free night trips to your toilets. The nightlight mode T is fantastic and it works really well. No need to turn on bright lights in the middle of the night because it emits a LED blue light from the seat side so that you can find your toilet seat in the dark easily. It can be turned off during the day with the remote control. It has an automatic deodorizer which eliminates the bad undesired odor from your toilet. You can also turn off the automatic air deodorizer fan if you wish. Bliss BB2000 comes with a full 100% 3-year warranty. It is available in white and beige color to match your bathroom theme. Take advantage of the utmost personal hygiene level with this Bliss BB2000. See also other good bio bidet products. The installation is really easy and will only your 30 minutes. It comes with a user manual plus installation guide for easy self-installation. 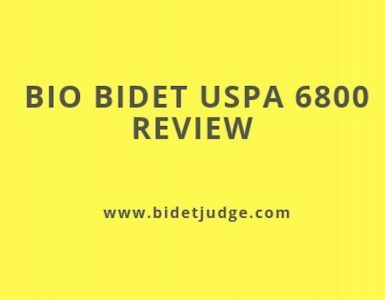 By reading the Bio Bidet BB2000 review with all the details above, you can clearly see why this is one of the best bidet seats in the market. You will be buying a bidet model that has a solid high-quality construction that is built to last. The Bio Bidet BB 2000 is totally designed with almost every component upgraded advanced feature to capture state-of-the-art technology.